You will make a fashion forward statement when you wear this trendy two piece dress to any formal occasion. Featuring a fitted crop top with a high halter neckline and a dramatic skirt. Perfect for a homecoming or pageant. 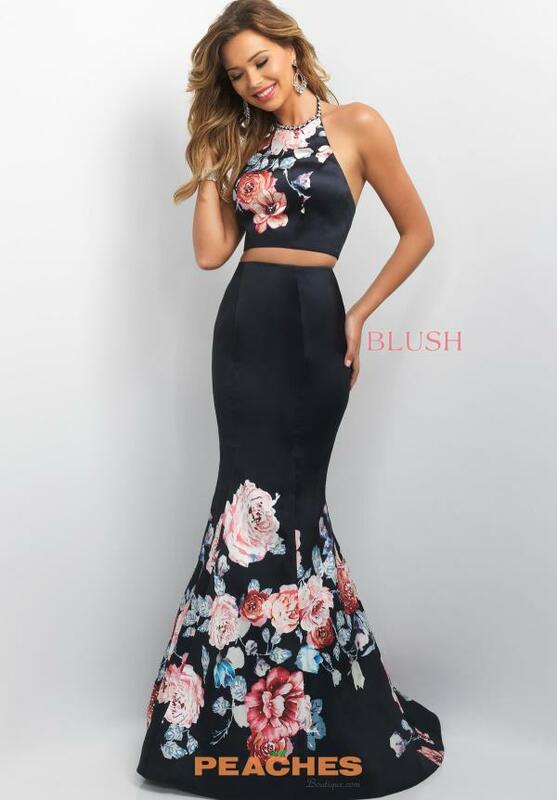 This exquisite Blush homecoming dress 11137 is a two piece style adorned with floral detailing.